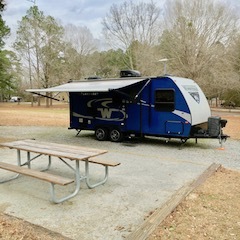 We’re at another campground, an old favorite, Hester’s Ferry near Lincolnton, Georgia. Here we have all the toys: bikes, running shoes, archery equipment, kayaks and a pontoon boat. Plus, we’ve been spending time with the grandkids. Well, three out of four of them. Had to get a tire plugged. 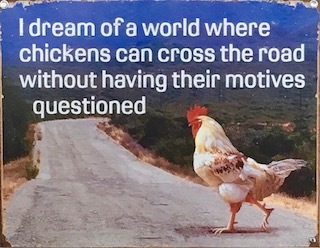 This sign was in the shop. Nice thing is there are all sorts of ways to play. No time to write. Another archery tournament, another road trip. Traveling to archery competitions can be rough when staying in a hotel. Making the trip using a camper and staying at a State Park is significantly better. 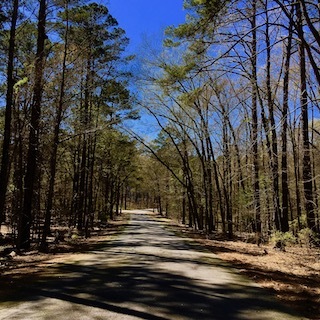 At the moment, I’m camped at the George L. Smith State Park in Twin City, Georgia. 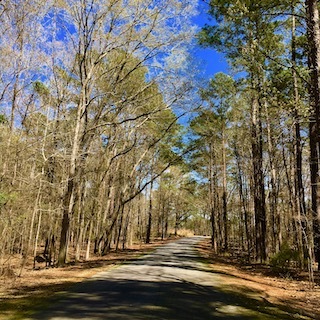 The park is about 45 minutes from Georgia Southern University in Statesboro, Georgia. That’s where this weekend’s shoot is taking place. There was a tournament at GSU two weeks ago and I stayed at a hotel for that event. The hotel was nice, one of the Hilton properties, but it was still a box. The tournament tomorrow and Sunday is an indoor 5-spot State Championship and NFAA Sectional. I know the folks I’ll be shooting against. I expect any score outside of 300 per day will fail to make it to the top. This tournament will likely come down to X count and maybe even inner Xs versus outer Xs. 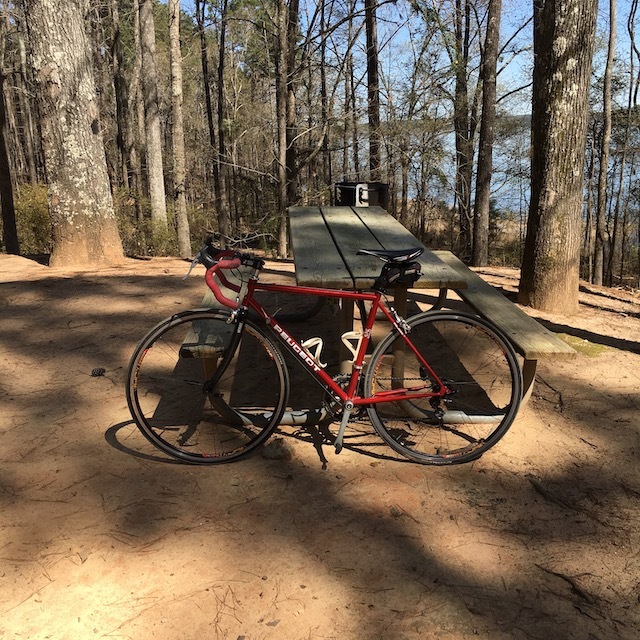 Whether I finish on the podium or not, what I can say is this Georgia State Park makes the trip worthwhile. 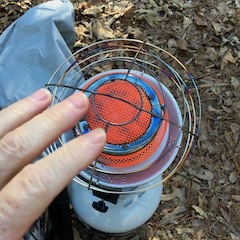 Author David LainPosted on February 15, 2019 February 16, 2019 Categories Archery Competitions, Camping, Outdoor AdventureTags 5-spot, SportsLeave a comment on Another archery tournament, another road trip. This was a time-trial I had in the bag. A time-trial on a bicycle is where each cyclist races individually against the clock over a set distance. 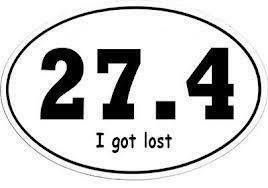 The distance for this race was 40 kilometers. I’d started 3rdfrom the last, a good position. Typically, cyclists are placed in the race line-up based on prior times. The faster cyclists start near the bottom of the order. There was a light rain when the race started. The rain increased and was coming down pretty good by the time I was off. Many of the riders ahead of me were being cautious to protect against crashing on the wet roads. Because I’d trained and raced often in rain I was more comfortable and it wasn’t long before I was passing other riders. During a race on the roads there are often arrows spray painted on the pavement to alert riders that a turn is ahead. This race was no different. Continuing to work my way past the line of other cyclists that had started before me I’d spot one, overtake him, and move to the next. Then, I ran out of other riders to catch. It was, by now, pouring rain. Approaching an intersection, which I felt was near the finish; I looked for the arrows on the pavement to know where to turn. The rain had either washed them away or they were covered by water. I made the wrong turn. I got lost for a while. I lost the race finishing so far behind that the officials were preparing to come search for me when I came to the finish line from the opposite direction. At the IBO World Championship several years ago it poured rain. Being in the first group out we had no idea that the tournament has been postponed until the storm passed. There was no horn that sounded. Apparently, the officials had forgotten our group was on the range. We got turned around because the storm had blown away trail markers. You never want to find yourself walking out of the woods between a stake and a target. 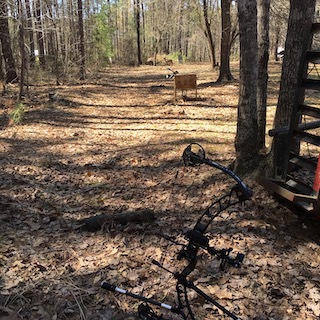 I’ve been lost on training rides, runs, once in a race, and briefly during an archery tournament. Think it’s hard to get lost on a bicycle? Go ride 100 miles and see how winding roads over unfamiliar ground seems then think again. Or do a 20 mile run in an unfamiliar city. That can be especially nerve racking where English isn’t the local language. Believe me, completing a 120 kilometer bicycle race in Italy and afterwards being unable to find the way to your hotel is extremely frustrating. Heck, I had to ask for directions here in Georgia just a few weeks ago when a road construction site put me off my planned route. Getting outside and doing things can sometimes present a directional challenge. You can find yourself having a little unplanned adventure. But, in the end, you’ll probably find your way home. There were some nice warm days in December and January – until now. It has turned cold. The indoor range where I practice is closed while the folks that work there enjoy the ATA Meeting. I’m practicing outside. It is awful. Unlike my nice warm shed I had in North Carolina, here in Georgia when I can’t get to practice indoors there’s winter in the raw. Sure, it isn’t like winter in say Pittsburgh, Cleveland or Baltimore. I’ve lived in all those places and winter was an entirely other animal compared to a Georgia winter. Nevertheless, cold is cold. Because the cold here in Georgia isn’t in the same league as a north Ohio winter, yesterday I tried to practice wearing as little clothing as possible to stay warm and not make the shots more difficult. That was a total failure. Three layers weren’t enough. 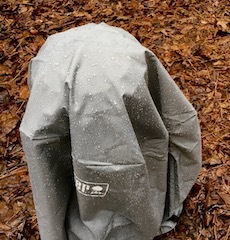 What started off as a good day quickly rolled downhill into shoot, thaw by the little outdoor heater, then shoot again. Last week, on an indoor range, I was practicing at 18-meters. There weren’t many other people there at that time. Steve was there. Steve’s a coach and was working with a student. I’m accustomed to practicing while coaching is happening around me. I listen to what is being said between ends. I’ve picked up more than one free tip from Steve while he’s coaching. Anyway, I was working away at 18-meters. 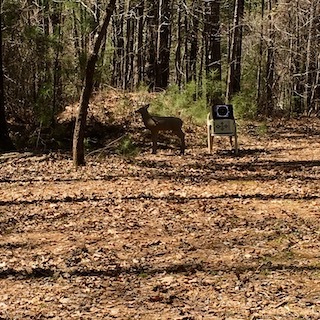 I’d been shooting pretty good. Then, on one shot I hit a 9. Now a 9 isn’t bad but I’d been hitting 10s. 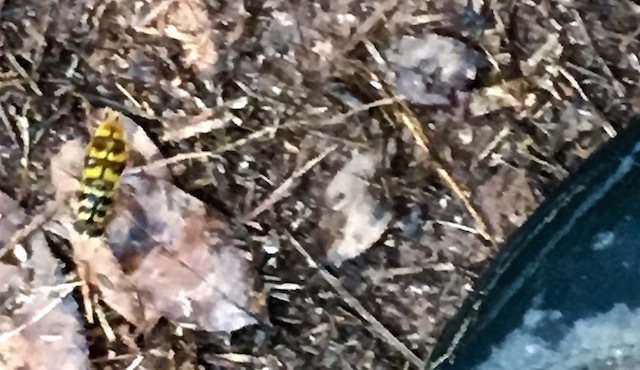 Here’s what happened – Steve walks over to grab arrows from a ground quiver about 2 inches from me. The distraction was all it took to miss the 10. I laughed and said, “Thanks, Steve! That 9 is on you.” He, too, laughed and added, “You need to learn to block distraction.” Of course he’s right. Who knows, I may have hit the 9 regardless of Steve nearly knocking me over. (Yes, Steve that’s how I telling it) I mean, it wouldn’t have been my first 9. Distractions happen. They really can’t be allowed to mess with your shooting. The other day I had another distraction. 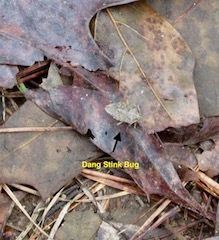 A stink bug. This stink bug hopped off my bow after the shot. He stayed around for a photo opt. 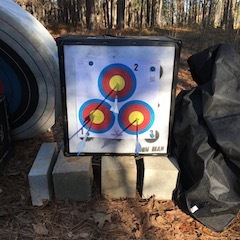 Practicing at 18-meters on my outdoor range I was again doing pretty good. At full draw, all focused, letting my brain relax, finding silence, being one with the arrow and channeling my inner Yoda, this stink bug lands on the lens of my scope. Yep, the arrow was off in the millisecond of bug to glass impact. I heard the arrow hit the target. 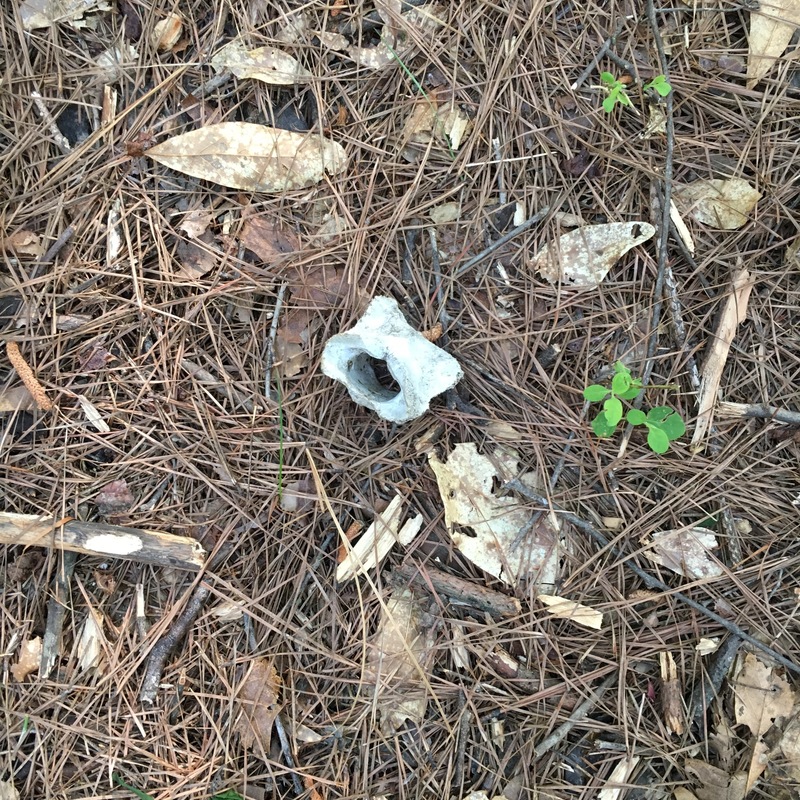 I was expecting to find it some where in the white and glad it didn’t sail off into the woods. I lifted my binoculars to find the arrow. What I found was a real surprise. The shot turned out good. Sometimes luck is a good thing to have. It’s been more than a rainy night. We’re on pace to break a record for annual rainfall here in Georgia. The weather report two days ago said we only needed another 1.5 inches to set a new record. It hasn’t stopped raining since that report. Rain is not an archer’s best friend. If you’ve done more than a few outdoor archery tournaments you’ve probably been caught in the rain. Shooting in the rain is a mess. I just left my outdoor range. It was raining while I was practicing. It is December and the rain and cold are a miserable combination. Luckily, the temperature isn’t bad, it was 54°F – nice for December. Still after an hour I stopped. I was wet and the rain was getting worse. The paper targets were disintegrating and my scope was covered with beaded drops of water. It wasn’t the practice I hoped to get completed. I’d hoped for a pause in the rain. Being wet at 54°F isn’t bad if you’re running, but it is bad when you’re trying to stand still. There was, however, specific work needed to be done. Today, practice wasn’t only about hitting the X. It was about getting a feel for 2 minutes. Often, I’ll use the timer on my phone and practice against the clock. 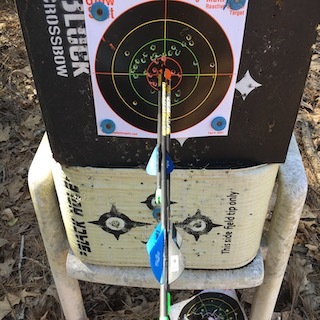 What I want to do is maximize my arrow shot process flow, see that I have ample recover time between shots, take my time on each shot, and have some time left over. Practicing against the clock does a several things: 1) You learn how long it takes you to shoot 3 arrows, 2) You become comfortable with a timer counting down the seconds, 3) you learn not to rush your shots, and 4) you learn about how much time you have to regroup after an error like dropping an arrow off the rest. Dropping an arrow off your rest during a tournament is going to happen. For me it has happened when I was letting down. The arrow had slipped off the rest while I was drawing. 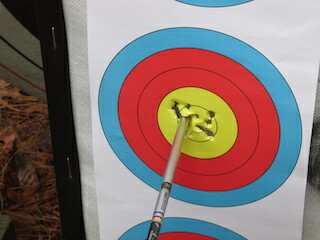 Rather than take my finger and put the arrow back on the rest I prefer to start over with the shot process. 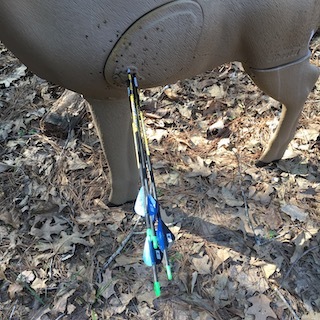 Once or twice the arrow came off the string during competition as I was letting down. If that happens to you, don’t lean over and pick up the escaping arrow – let it go. Collect the arrow after the whistle blows to stop shooting. 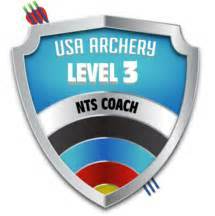 A simple drill get comfortable if this situation – rather when this situation – occurs: Using a clock, time 3 minutes, shoot 3 arrows, but have a 4th and intentionally drop an arrow so that up must use the 4th arrow within the two minutes. It’s an easy exercise and you’ll get a good understanding of the timing for when you do drop an arrow. An arrow on the floor or ground doesn’t get under my skin. I know that when this happens and I draw another arrow to start over I’ll still have time remaining to calmly get off all three shots. Generally, I have around thirty seconds remaining on the clock after I shoot three arrows. That means it takes me about 30 seconds per arrow. So, I can easily get four arrows off in 120 seconds or 2 minutes. When one arrow is dropped, I’m essentially adding a 4thshot. It’s happened to me a few times during an event. I have gotten that 4tharrow, including the on the floor, fired leaving a second or two on the clock when I released the final shot. But, I’ve never lost points for shooting after the whistle blew. Today, in the rain my cell phone timer was getting pretty wet. I have a protective case on the phone that is supposed to be water resistant. The protective case might work but a soaked phone was another reason I called the morning practice to a halt. Additionally, it is New Year’s Eve and we’re having a party here this evening. It was time to cut practice short. The rain may or may not let up. If it does and I have time I’ll get in another practice. For now, I did get some practice during the rain, which is good. I got to work against a clock and that too is a good. I’ve been rained on bin the past during competition and it will certainly happen again. Having practiced in rain teaches me how to perform during inclement weather. Often you’ll read at this website that I post articles about fitness. Many of those posts include stories about running. 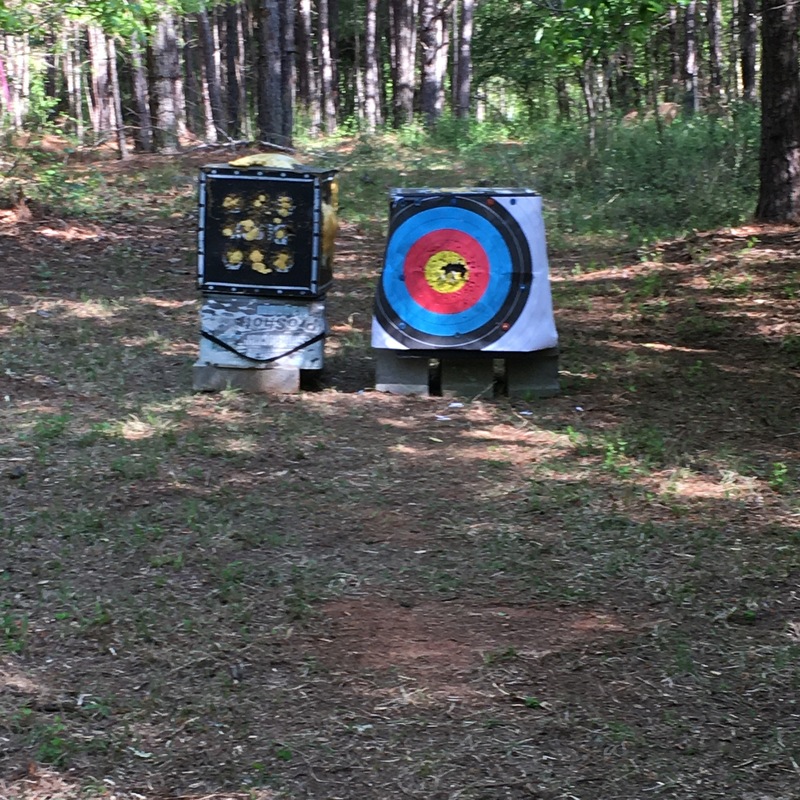 While cardiopulmonary fitness isn’t essential to pick up a bow and shoot it, it does improve one’s health and ability to maintain an athletic posture during long archery tournaments. Among the exercises I do as part of my training regime, running is a major element. One manufacturer of running shoes once had an advertisement that read, “Athletes Run.” Whether or not archery is part of my life, I believe running will always be a part of it. One of the running pleasures I find most appealing is trail running in the dark. In the winter months running in the dark is easy – it’s dark when I get up to run. In the warmer months this isn’t the case. A head lamp is a must for running in the dark. River, my lab, has a little read clip-on light on her collar. 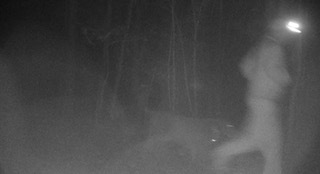 For some, the thought of running through the woods in the dark might bring to mind some scene from a horror movie. Not the case for me. 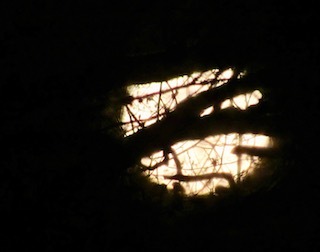 I do run with a light – getting smacked by a tree or limb isn’t on my bucket list. Running in the dark is peaceful in my mind. The woods are quiet and calm. Occasionally, I run in the direction of some critter and that can be startling, but never horrifying. 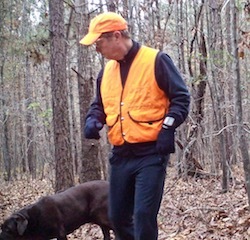 I do run with my dog, River, who’s a big girl who provides a sense of ease when I cross paths with an unexpected animal. 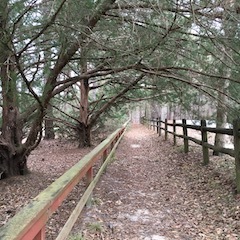 There’s a 1.3-mile loop behind my house that cuts a perfect trail to travel whether running or hiking. Sometimes I’ll run it in the morning and hike it in the afternoon. I try to cover a few laps each time, more laps when running. I understand not everyone that reads this site runs beyond being chased. If you do run and have access to trails try running in the dark it is an entirely new experience compared to running during the day light. Oh, carry a light, bring your dog, and watch how you plant your feet. Also, let someone know where you’ll be running and when to expect you home. Plus, carry your cell phone just in case. 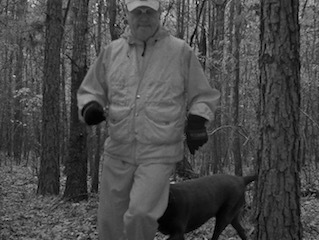 Before you run a trail in the dark run it several times during the lighted part of the day to learn the trail. 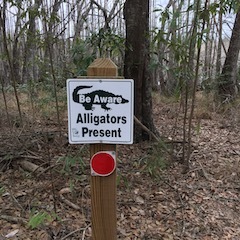 If you happen to get off the trail it isn’t difficult to get turned around. 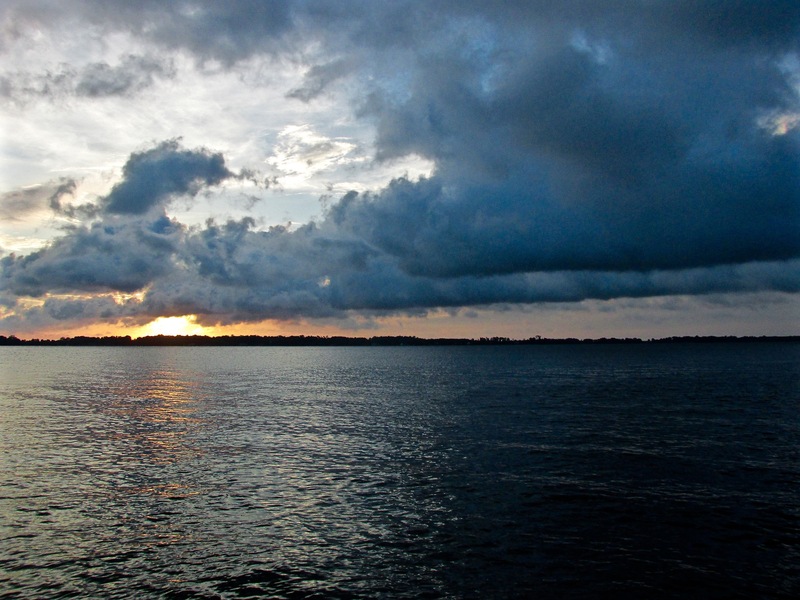 If you happen to get lost, wait where you are until the sun comes up to regain your bearings. Clear lens running eye glasses are ideal for not getting an eye poked out by a low hanging pointy limb. Now that I think about, maybe you shouldn’t run in the dark – you’d probably get hurt. When I practice at home River is along side for the session. River is an eight and a half year old lab. She has been accompanying me during practice since I started shooting four years and five months ago. She’s even joined me on some 3D competitions where she’s been welcomed to tag along. It used to be that River got very impatient during practice. The stick game, shoot three arrows – throw a stick, gave her some satisfaction. These days we’re practicing at 50-meters so sticks can be tossed less frequently. On occasion River searches out her own stick. Picking just the right stick she’ll relax on a pile of pine straw and gnaw her treasure. 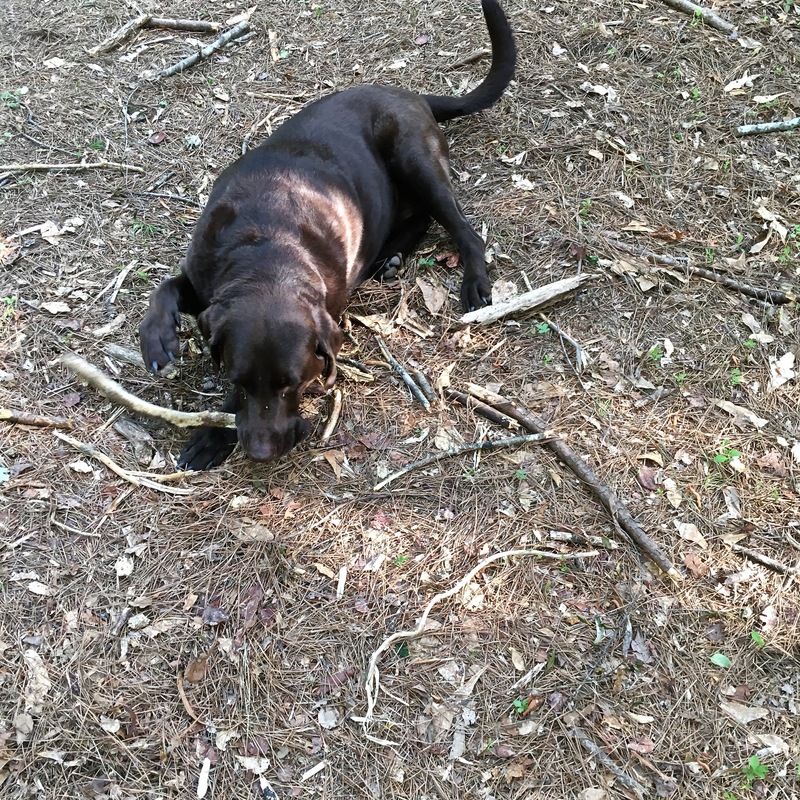 It is clear when she’s interested in finding her own stick and she’s free to explore while I practice. Sometimes she’ll return with an entire limb that’s been cut down. 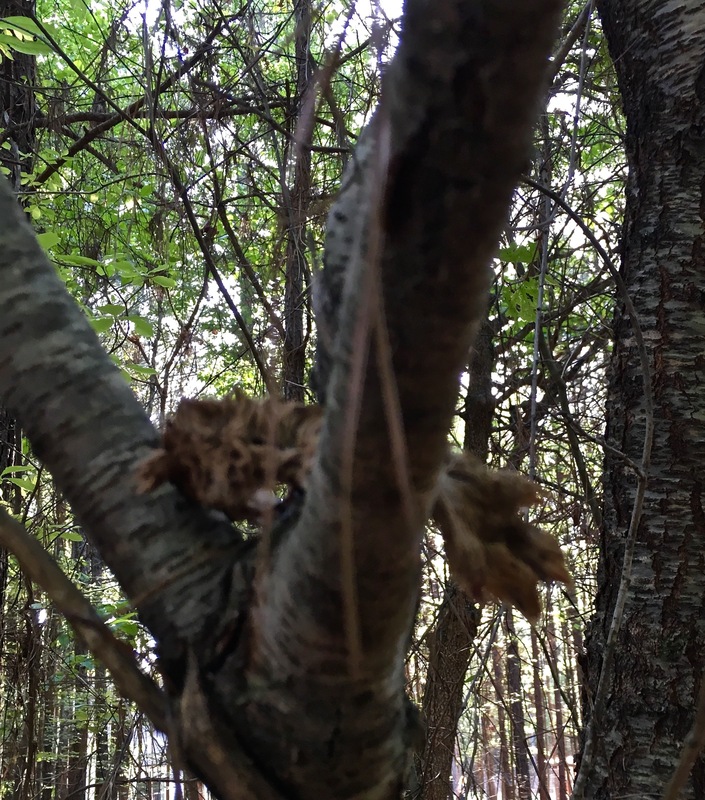 The limb may be a dead branch or one with green leaves. I don’t understand her palate. She’s also returned from a quest with an animal’s limb. She’s not killed an animal. The limb is a bit of remains from someone else’s meal. Once she brought to my feet an entire deer leg. Today, it appeared to be rabbit. She was appalled when I took the leg and buried it. Burying a leg is a pointless and perhaps dumb exercise with a dog. The second I walked away to pull arrows she dug it up. There’s probably nothing wrong with River eating a raw leg, she is a dog after all. 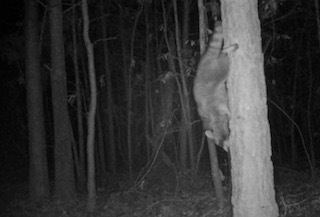 But, not wanting to chance it I put the little leg up in a tree. Poor River did all she could to express her disappointment. I suppose, if you were a dog, you might prefer raw leg to a stick, too. 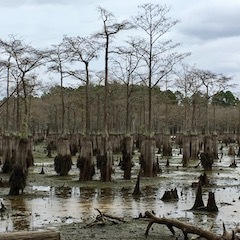 Hurricane Florence didn’t have much of an affect on Georgia. 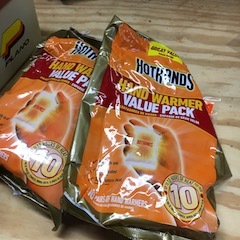 But, she did have enough of an influence on the weather to impact archers shooting at the Georgia Archery Association State (GAA) FITA Outdoor Championship. 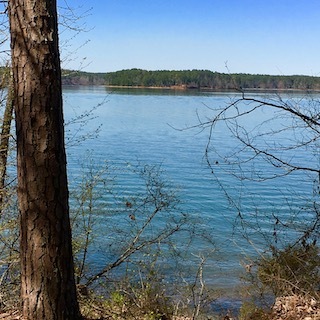 It has been nine months since we moved back to Georgia. This is our home State and we’d made the move from our vacation home turned permanent residence in North Carolina. The NC home was great. Off our front deck the distance to the bulkhead was just 18 yards. 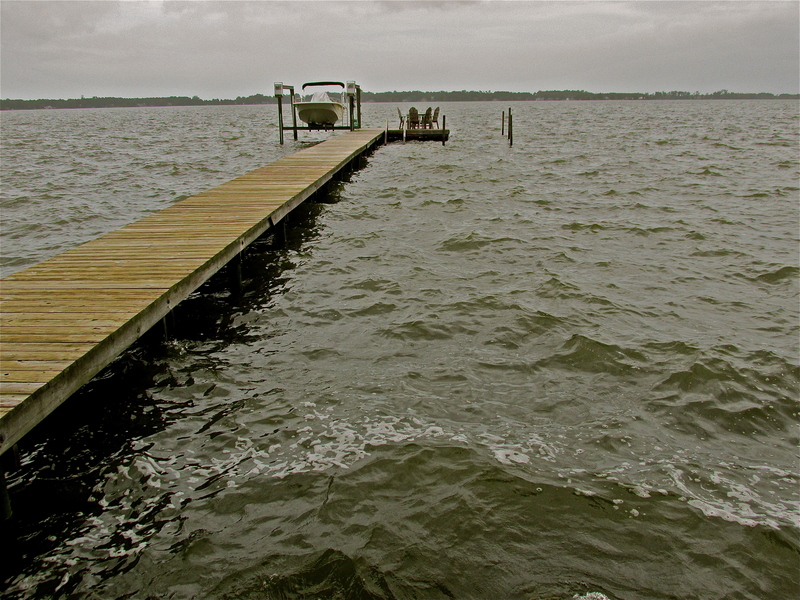 The bulkhead separated our property from Little River, which feeds into the Albemarle Sound. The views and water access were amazing. Our pier and dock led us at our boatlift 50 yards from shore. It was wonderful, except for the hurricanes. 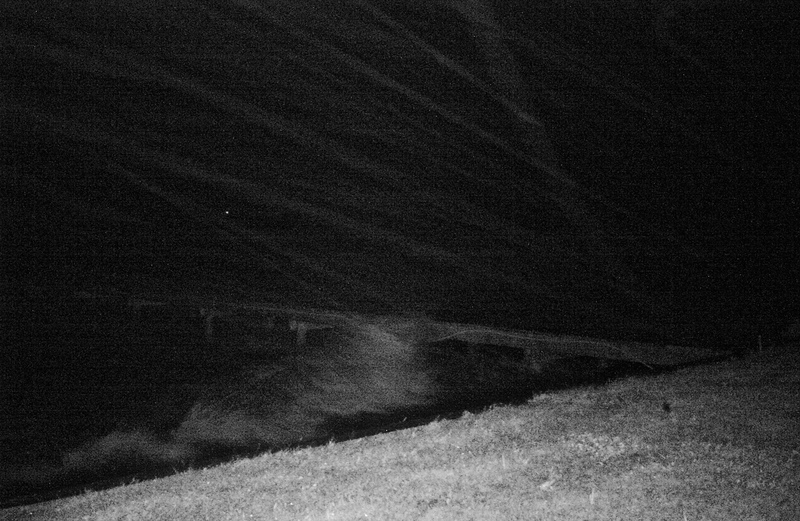 Every year we’d have some storm spinning up our river. Most years there were multiple storms. Rarely, did we have a huge amount of damage. Always there was some damage and a general clean up. Sometimes there was a real post-storm mess. As with all storms we either rode them out or we headed to the hills. It depended on the category. Don’t recall which storm this was, but early on the rain is moving sideways and waves are starting to roll in. Florence didn’t do much to our old place in North Carolina. Of course, we sold it in May of this year so it wouldn’t have been our problem should there have been damage. Nevertheless, we loved that place and keep tabs on the storms that might intersect with our old home. We still have friends living on the Little River and we stay in touch. What Florence gave to the Peach State was a rainy windy day for the second half of the Georgia State Outdoor Championship. For me, it meant I wouldn’t surpass my personal best score of the 1440 possible points that could be earned over two days shooting 144 arrows. Despite the second day’s wind and rain I exceeded my lowest score finishing 8 points below my average practice score. It wasn’t what I’d hoped for when the pre-storm weather forecast suggested warm clear days and 5 mph winds. That forecast didn’t hold. The first day was rainless and the winds were around 7 to 10 mph – not bad. Day two of the weekend tournament brought rain and wind at 8 – 14 mph with gusts up to 22 mph. 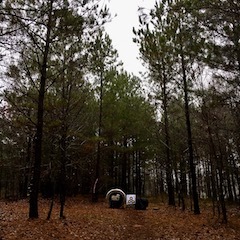 Compared to what our Tarheel friends were going through the less than ideal conditions for archery was not very meaningful. It is a coastal North Carolina fact of life that hurricanes are going to happen and they’ll often bring real damage and suffering. 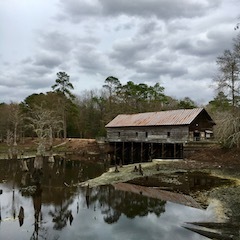 During Hurriance Florence as I watched some weather guy rocking back and forth being punished by unyielding wind I thought about that dock and pier. 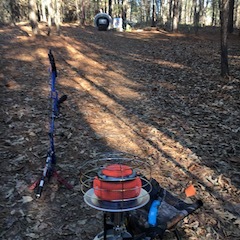 I also wonder what the weekend weather would do for the Georgia Archery Associations tournament. Still watching the reporter and wondering I pointed out to my wife, while seeing this poor fellow on the television reporting live, that he sure seemed to be having a tough time keeping his footing. It seemed a bit exaggerated. Archers got some wind while shooting in that GAA tournament over the weekend. The storm was certainly a point of conversation. The weather guy’s rocking and rolling in the wind was a hot topic. Many viewers of the weather reporting had reach the conclusion that the guy was faking it. The reporter’s performance had been inadvertently spoiled by a couple of guys calmly and easily walking around behind him oblivious to the wind impacting the reporter. The reporter says, “It’s like being in a war zone” describing his current situation. A few yards behind him those guys seem to be in another zone. 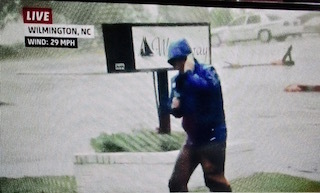 While he is on camera there is another tale-tell sign of the actual wind speed. It was being displayed live on the upper left of the television screen. 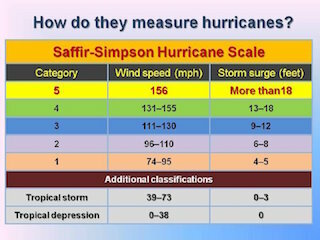 The sustained wind was 29 mph and the maximum was 42 mph. The reporter claims the wind is at 60 mph. He’s off by 31 mph. To be fair the gusts were hitting 42 mph. 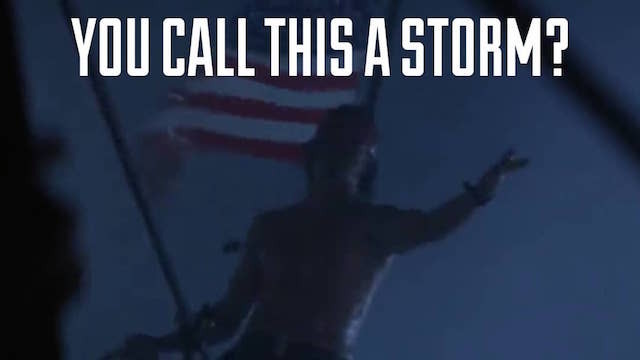 Storms have hit many people over the years. When one comes along families have to worry, leave home and pray that everything turns out for the best. For some those prayers aren’t answered in a manner they’d hoped. For others everything turns out fine. For a few that stay put to ride it out the storm becomes their last ride. Amid the real news of the impact of such storms as Florence, there is no room for make believe. 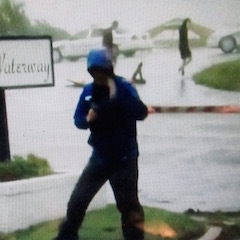 Weatherman Fakes Hurricane Conditions, Watch The Guys Behind Him! If an insect has a stinger I seem to be, to them, the fun thing on which to use it. I’ve been stung so many times I rarely even worry about it. 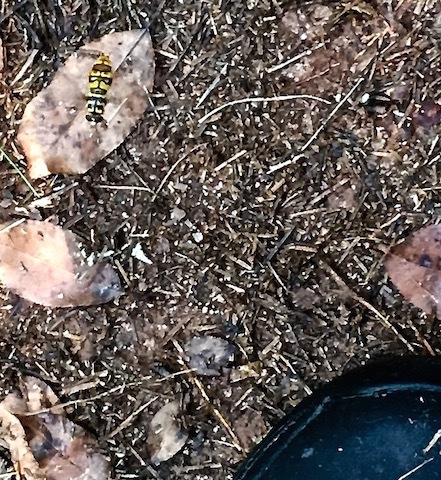 At our old home, in North Carolina, there was a campaign between yellow jackets, wasps, and me. At times I wondered whether the wasps and yellow jackets were keeping score. Here in Georgia, I remain the target for a sting. During practice two days ago some stinging bug landed on my bow hand just as I was aiming. I didn’t let down – I shot a nine. I also, did not get stung just then. Rather than sting me on the hand, the bug came back for a dive bomb and attacked from the back piercing me on the shoulder. I never saw it coming. I heard it buzzing. Buzzing no longer bothers me. No longer do I dance about searching for the source of the buzz. I know, sooner or later, when the buzz stops that will be the moment to react. 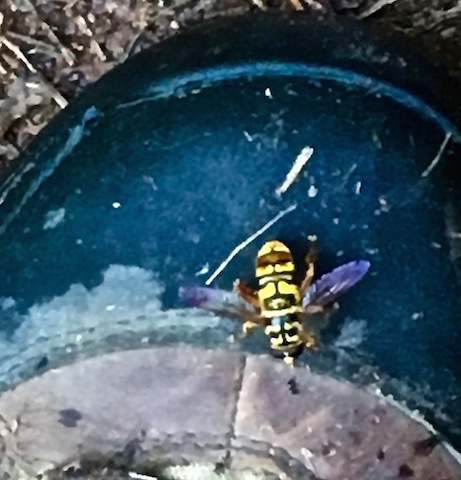 The sting of a yellow jacket doesn’t hurt as badly or as long as that of a wasp. Wasp stings burn then itch. Yellow jacket stings simply burn and after a few minutes the burn stops. It seems everyday, while I am outside practicing, there is a squadron of insects searching. They find me. Most days, they just buzz about. Some days I get stung. 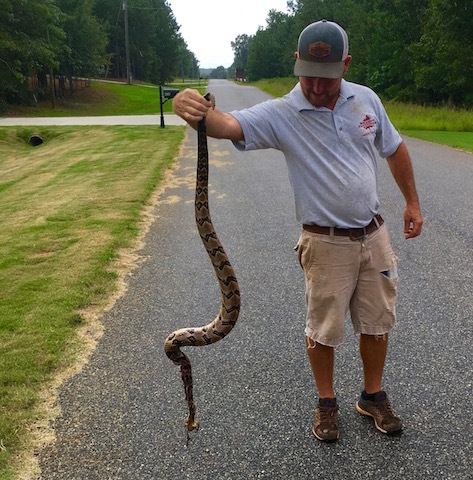 And this is why I wear snake boots. My neighbor holding this timber rattler shot as it approached my lawn. This makes wasp and yellow jacket venom mild by comparison.